Are solar panels still worth it? This year saw the cut in the solar Feed-in Tariff (FiT) come into effect. This means that people who install solar panels will receive far less money from the government than they used to – dropping from 12.03p/kWh to just 4.25p/kWh. Unsurprisingly, the number of solar panel installations has begun to drop as people become more wary of recouping their costs. The number of installations in the first quarter of 2016 was still one of the highest since 2012, but a drop of over 60% in the tariff is beginning to cause concern. It’s worth noting that you don’t only get money back from the FiT itself. To start, you’ll save money on your bills as you make use of the sun’s free energy, while you also make money from a separate export tariff – this is where excess energy is sent back to the grid. So, are solar panels still a worthwhile option? Well, there’s no one stock answer. There’s quite a few factors at play in regards to your home and its location, plus it depends on what you consider a decent return when it comes to timeframes. If your home has an Energy Performance Rating of D or above, then you’re good for the full FiT payout. If not, you’ll get just 0.61p/kWh which means you’ll be unlikely to recoup your installation costs for a very, very long time. It might be worth looking into fixing this as you’re probably paying more for you bills already. The calculator will spit out some data for you. This might give you the first inkling about whether or not solar panels are something to consider. According to this piece from Money Saving Expert (that also offers some decent advice on the subject), the typical household will need 22 years before they pay off the installation costs of their solar panels. That’s not exactly a quick return on an investment. Having said that, once that time has passed you’ll be making a guaranteed profit. Then of course, it might take a lot less time depending on the factors previously mentioned. 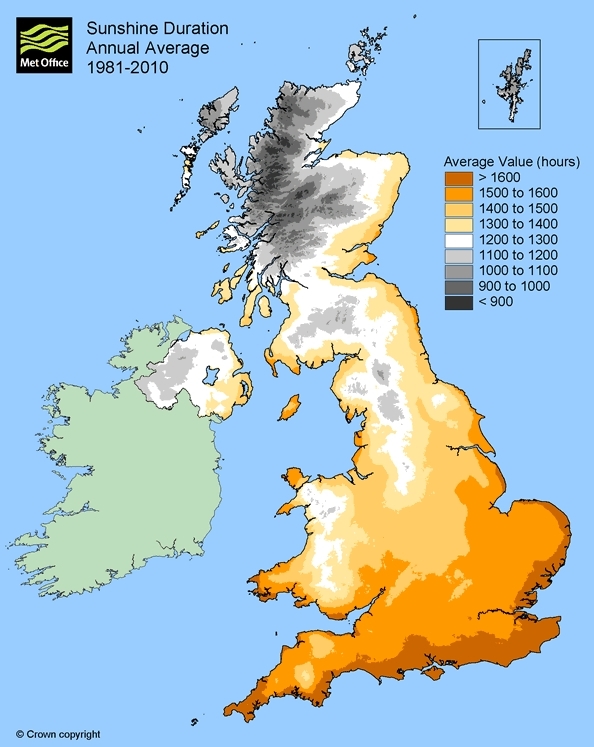 So, with a good slant on your south-facing roof in Cornwall you might be in the black much sooner. Then there’s the fact that technology might begin to change. 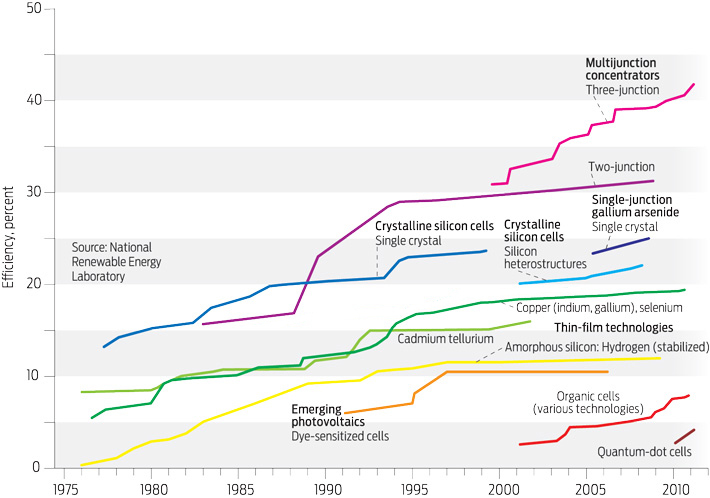 Solar panels are already vastly more effective than they were in the past. 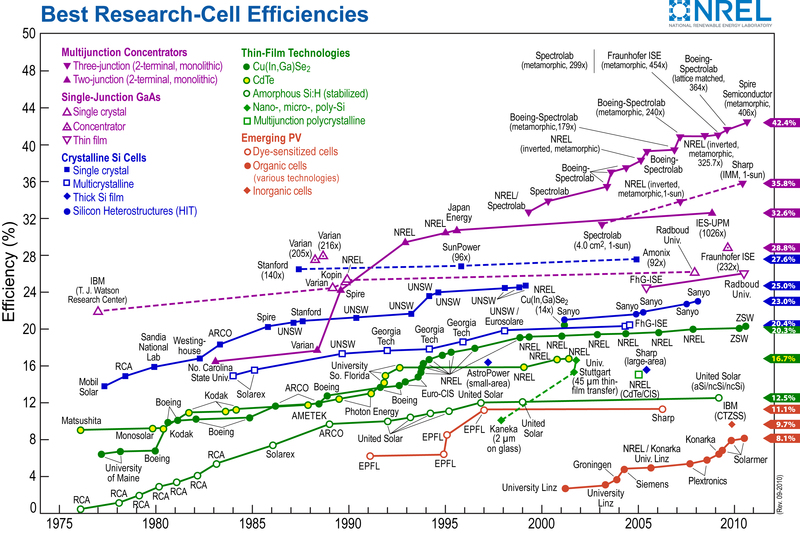 As you can see from this chart (or this far more detailed one), not only has existing technology been improved on, but new types of cells have been created with far higher levels of efficiency. Back in 1975, no type could reach 15% efficiency. Now we have cells that have surpassed 40%. There’s even new developments that could improve existing cells without replacing them entirely. This could be a reason for holding off in case we see significant improvements in the near future that will make recouping costs far quicker. When it comes down to it, if you’re happy to shell out for solar panels, which will bring a cost likely over £6,000, and spread the cost over a couple of decades, then go for it. The FiT and export tariff are both linked to inflation so you won’t get caught out that way at least. It’s not all about the money though. Whether it takes 10 years or 30 years to get your costs back, you’re still helping to lower our reliance on fossil fuels. Sure, adding solar panels to your two-bed in Dagenham isn’t going to save the planet, but for many just doing something is enough to get them investing in solar. In the end, whether solar panels are worth it is going to be down to your specific situation and motivations. Do your research, make some calculations, and you’ll soon have your answer. Whatever you do though, don’t rush into a decision too quickly.